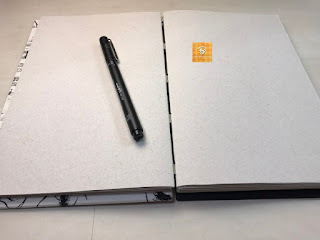 Então você vê um vídeo aqui do estúdio onde mostro uma pintura ou um desenho e você pensa: "mas onde eu acho aquele caderno pra desenhar e pintar?" Achou! 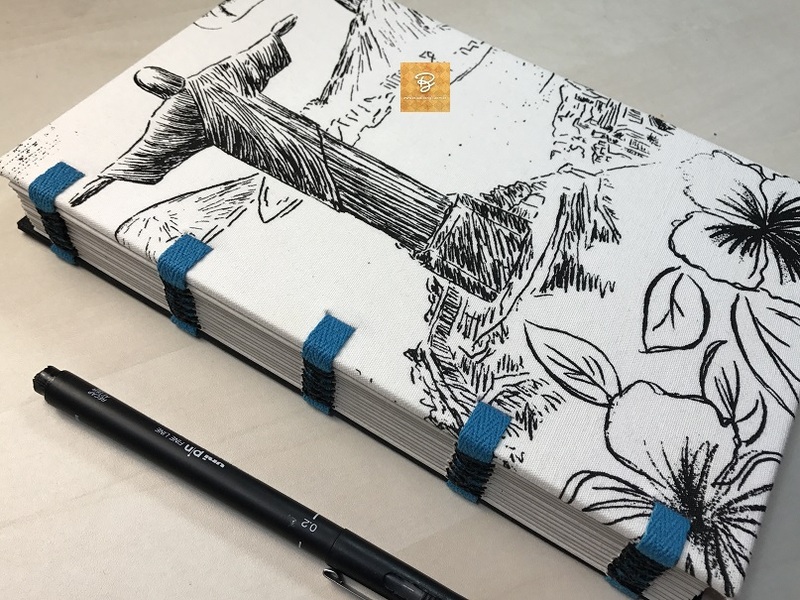 Este é o Livro Costura Exposta Solta e nele você pode escrever/desenhar com canetas, com marcadores permanentes, canetas tinteiro, pintar com canetinha e até com aquarela desde que não seja muito aguada, porque a gramatura 120 do papel permite o uso desses materiais. Além disso graças à sua costura ele abre plano e as capas também podem ser viradas totalmente, como se fosse um livro espiral. So you watch a Estúdio Brigit's video where I show a painting or a drawing and you think, "But where do I find that sketchbook to draw and paint?" You have just found it! 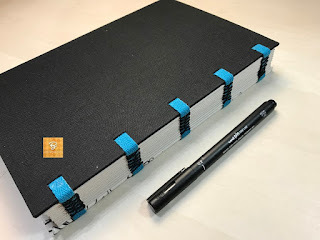 This is the Loose Exposed Sewing Book and on it you can write / draw with pens, permanent pens, fountain pens, paint even with watercolor since it is not too watery, because the weight 120 of the paper allows the use of these materials. In addition, thanks to its seam it opens flat and the covers can also be turned totally, as if it were a spiral book. São 96 folhas (192 páginas) de papel Reciclato, cinza claro, que dá um conforto melhor ao escrever/desenhar e pintar já que não há o branco do papel refletindo a luz aos olhos. As capas duras medem aproximadamente 16cm de base x 24cm de altura e na capa frontal de tecido você pode pintar com crayon e fixar a cor com a ajuda do ferro elétrico (coloque uma folha de papel sobre o tecido na hora de passar). A capa posterior é em tecido holandês preto e tem um envelope para guardar pequenos papéis. A costura é aparente com linha tripla encerada e o livro também tem tarjas na lombada para maior segurança na costura. 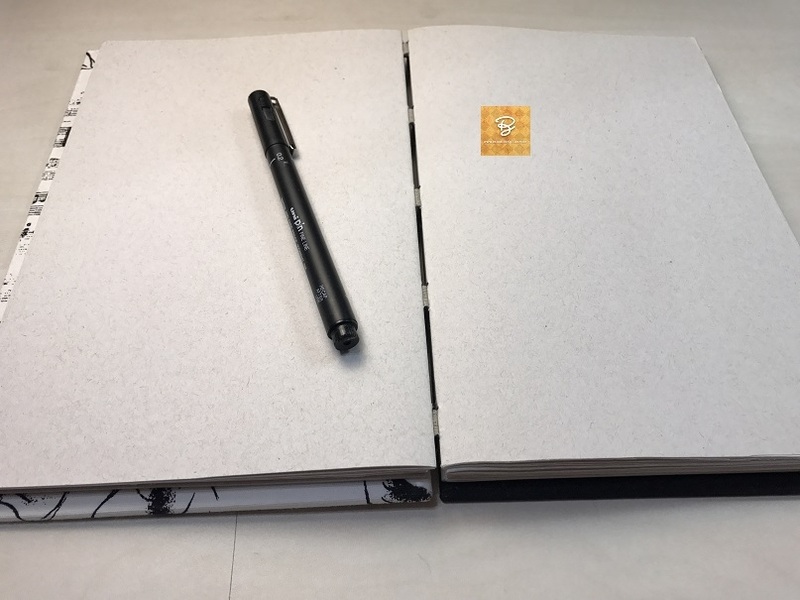 There are 96 sheets (192 pages) of recycled paper, light gray, which gives comfort when writing / drawing and painting as there is no white of the paper reflecting light to the eyes. The hard covers measure approximately 16cm of base x 24cm of height and in the frontal fabric cover you can paint with crayon and fix the color with the help of the electric iron (put a sheet of paper on the fabric while ironing). 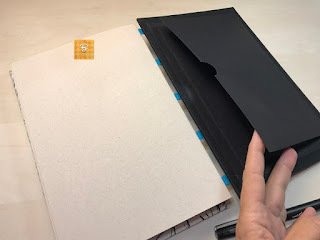 The back cover is in black Dutch fabric and has an envelope to hold small papers. 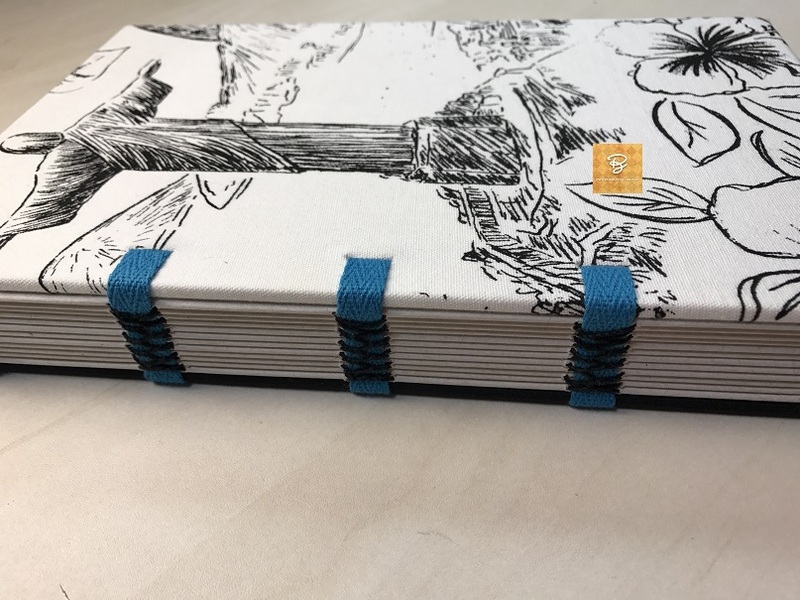 The seam is apparent with triple waxed thread and the book also has stripe ribbons to add seam safety.